Last month, popular sunflower farm Boggle Seeds was forced to close early for the season after visitors caused absolute chaos on the surrounding streets while trying to take photos after only being open just over a week. In case you didn’t have a chance to check out the sunflower farm this summer, we’ve rounded up five other stunning flower farms that are not only incredibly Instagram-worthy, they are all a relatively short drive from the city. Located just an hour north-west of the city, Terre Bleu lavender farm is not only the largest lavender farm in Ontario, it’s home to over 40,000 lavender plants, making it a must-visit for flower enthusiasts. Each year, Terre Bleu harvests nine different varieties of lavender in their fields, all of which bloom at different times during the summer season, creating picturesque colour in the fields from June through to the end of its season in August. 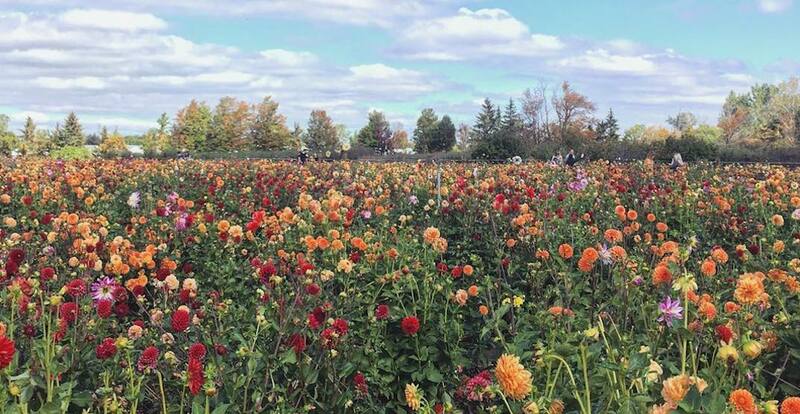 Located a quick 40 minutes from Toronto you’ll discover the breathtaking Country Cut Flowers farm in Newmarket. Here you can explore the lush grounds, take in the picturesque views of the neverending rows of colourful flowers and make your own personalized bouquet. The farm is only open select days during the week so make sure to plan ahead. When: Due to a high demand of visitors, the farm now has select visiting days. A list of available dates can be found on the farm’s Facebook page. Price: $25. This price includes your entry fee, along with $20 worth of flowers. If you cut more, you can pay for the extras. No entrance fee for children five and under. Located less than an hour from Toronto is Andrew’s Scenic Acres, a family-run farm that’s home to a field filled with colourful flowers as far as the eye can see. While at the farm you can pick your own flowers and seasonal fruits and vegetables, explore the grounds, and check out the on-site winery. Sounds like the perfect afternoon to us. 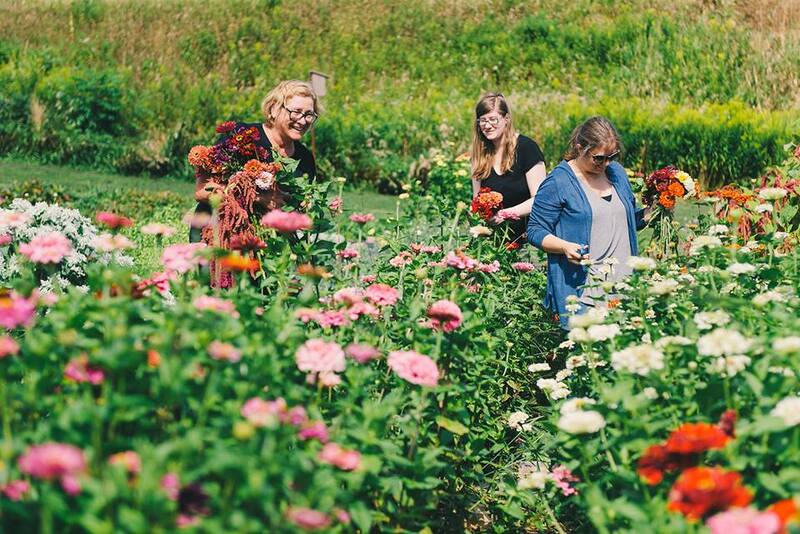 Whether you’re looking to pick your own flowers, check out a workshop or simply take photos of the stunning grounds, Garden Party Flower Farm in St. Agatha has everything you need for a perfect summers day. Located under two hours from Toronto, visitors can come and pick their own bouquets or choose from ready-picked bunches at the on-farm flower shop. While this isn’t technically a flower farm, the annual Sundridge Sunflower Festival is definitely a must-visit. Each summer, the small town of Sundridge hosts the festival where visitors can explore the town’s picturesque sunflower field, wander through the city’s main street, shop from over 150 local vendors, listen to live music and more. While the festival is hosted just over three hours north of the city, it’s definitely worth the mini road trip.